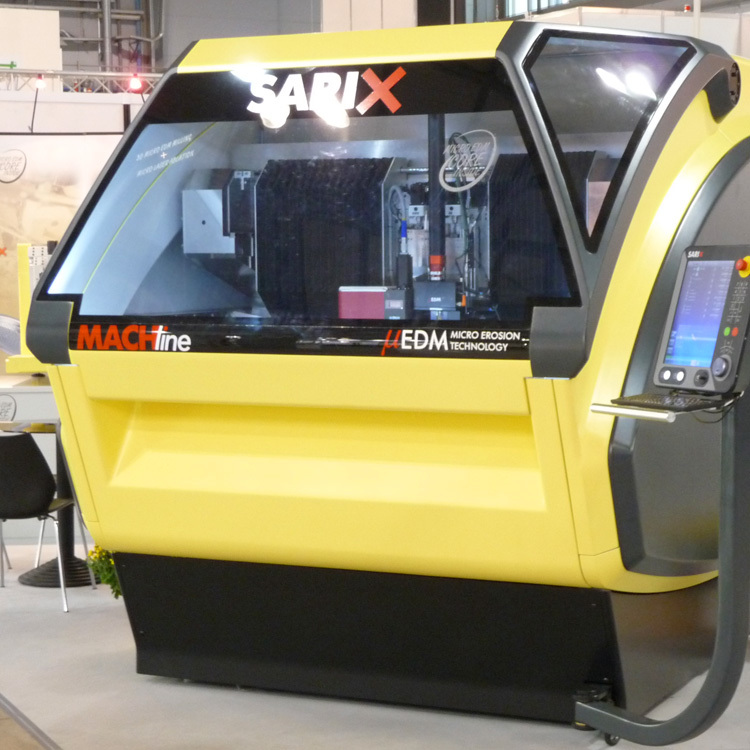 SARIX maintains his commitment to a continuous innovation of the micro EDM technology with the introduction of the new MACHLine machining centers. The MACHLine is a family of Micro EDM machining centers and contain a unique combination of high precision machining capability to process large parts and high productivity. The possibility to combine multiple machining processes is another unique feature of the MACHLine series. The design of these unique machining centers is the result of the experience of SARIX: more than 15 years of worldwide leadership in the Micro EDM technology. 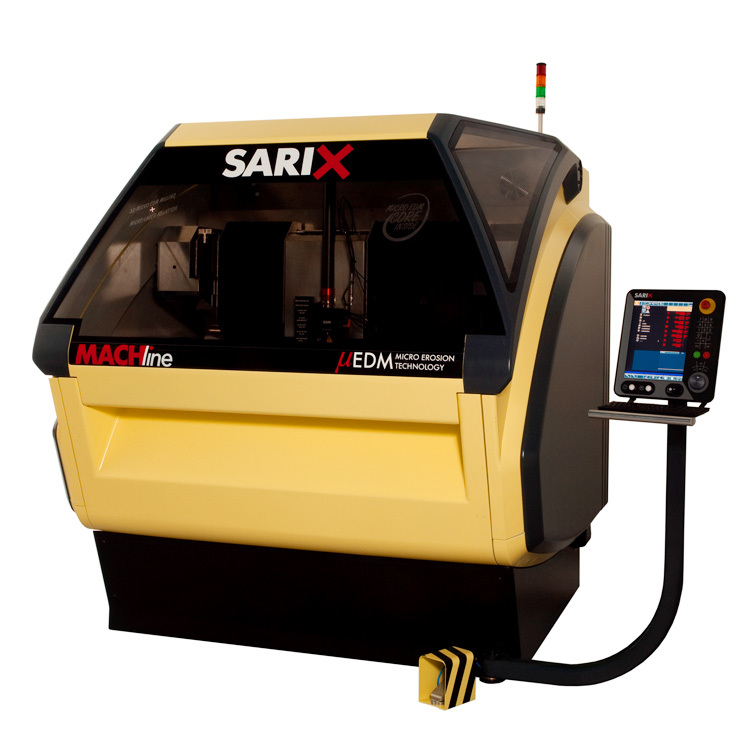 The constant development of the SARIX Micro EDM Technology has orientated the innovative design of the EDM axis of the MACHLine series. All EDM axis are concentrated in a core unit, a X-Y-Z module that is lightweight, very accurate and with high dynamic. Large positioning axis U, V, W applies the micromachining precision to larger parts. All features of the MACHLine models are optimized for productivity. 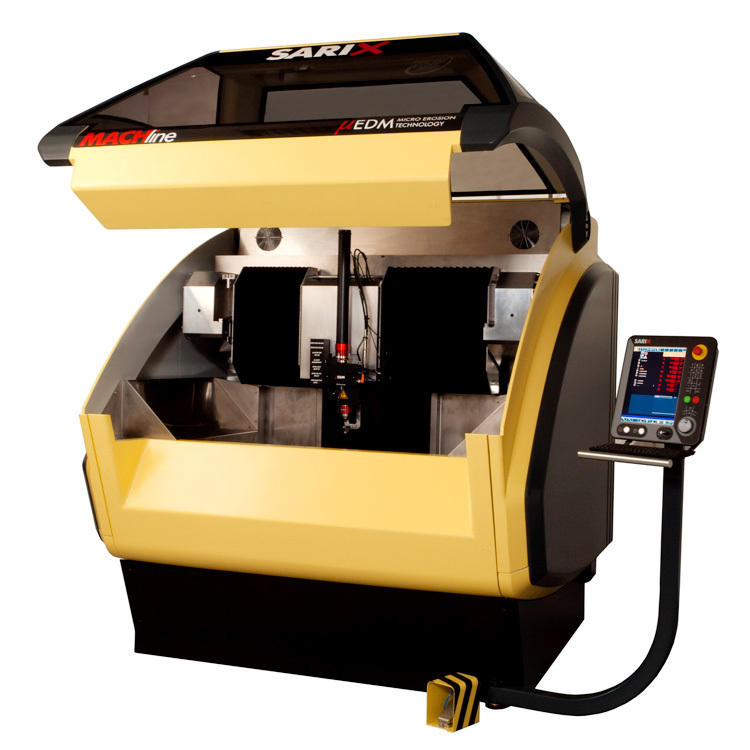 The optional tool changer unit automatically loads electrodes of different diameter. The new multi-diameter collet can change the working diameter and maintains optimal flushing conditions with each diameter. The large displacement of the U, V, W axis allow to machine large parts or the loading of multiple part pallets. In the MACH Aero model the machine has 2 indexing axis for the positioning of complex shaped parts. Through the large front window, the operator has an ideal accessibility and visibility of the working area. The EDM core module carries two Z-axis that can be fitted with independent process unit: the Twin Axis capability. Customer can choose the best head configuration for the maximal performance. The Twin Axis system can accept for example, a roughing and a finishing Micro EDM milling spindle. In another configuration one Micro EDM head and the 3D Scope measurement unit allow in-process part measurement without dismounting the work piece.